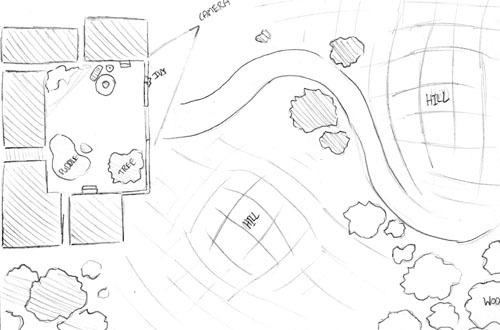 This is a simple 'Camera Map' I drew, based on a brief of drawing a courtyard and scenery. 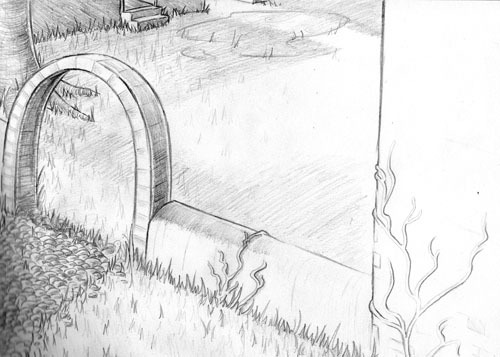 We then had to draw a scene within the map that could act as a background to an animation. I placed my camera above the ground, looking over the wall. This drawing represents what the 'Camera' would see in the Camera Map.